VMware Player is used for creating virtual machines on any desktop systems. If you are an windows user and learning Linux, It can be much useful for you. Using vmware you can easily create a guest machine within few minutes and start working. After completing your work you can simply delete it. First go to vmware download page and download latest available version in bundle file. You can also use below url to download it. After downloading vmware bundle file, install it using following command. 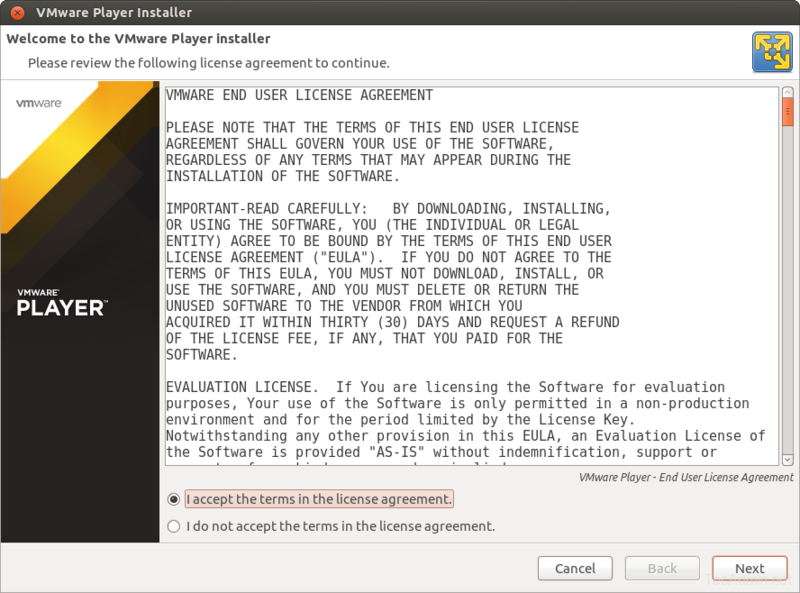 Installation startup will show you the license agreement. Accept the agreement and complete the installation. 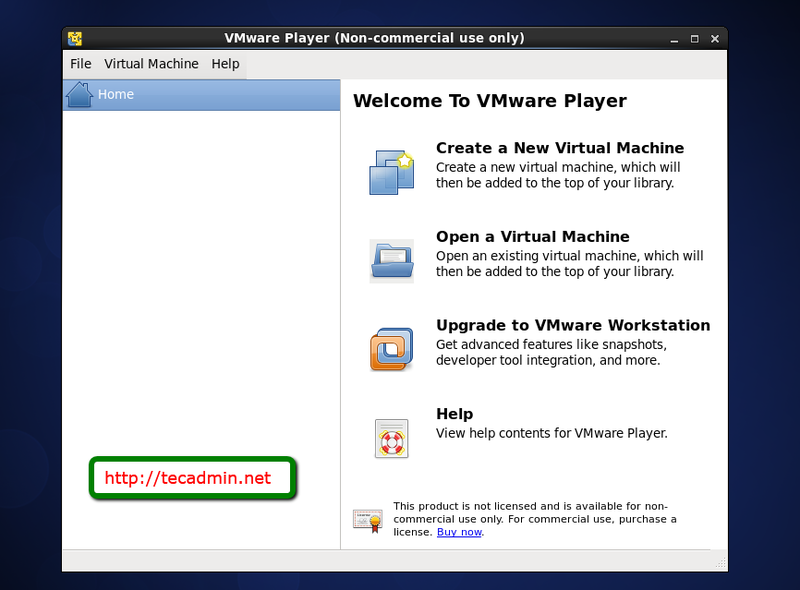 After successfully installation of vmware player, lets start vmware from Applications >> System Tools >> Vmware Player Menu . Congratulation’s! You have successfully install VMware player on you linux system. can I run KVM/Virtual Machine Manager and VMware player in the same centos 7 box? Thank you sir, really helped. now i am running m$ windows 7 on vmware player.